Brandon Phillips made a spectacular throw at games end to throw a disbelieving Josh Phelps out at the plate to end the game and give the Cincinnati Reds a 5-4 win. After Phelps doubled with two outs,Nate McLouth blooped a ball into shallow right field that appeared would score Phelps easily,but Phillips never stopped moving and was able to launch an off balance throw that landed shoulder high and the stunned Phelps was tagged out to end the game. 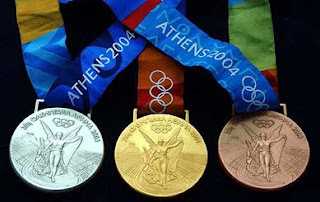 Tremendous play by the former Indian and for the most part I cannot blame Phelps except for one thing. Replays clearly show Jose Bautista,who was on deck,signalling Phelps to slide. Had Phelps followed his teammates advice,Phillips throw would have been meaningless. Bautista was the offensive star for Pittsburgh hitting his 13th homer of the season and knocking in two runs,while Freddy Sanchez and Adam LaRoche divided the other RBI. Matt Capps picked up the loss in dropping his record to 4-6. The Pirates travel to Milwaukee for an important series tonight. The Cubs picked up Steve Trachsel from the Orioles for two minor leaguers in an attempt to add depth to their staff for September. The point is not who Baltimore got,it is more that they got something for someone that was not in their plans. Nice win for MAC football last night as Kent State defeated Big 12 member Iowa State 23-14 at the Cyclones home in Ames Iowa. Granted,Iowa State is one of the two weakest teams in the conference (Baylor is the other),but anytime that you can defeat a BCS team on the road,it is a boost for your conference! 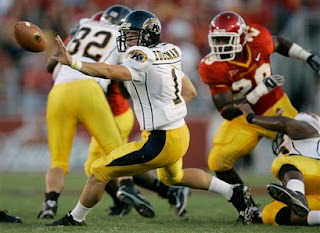 The victory was the first for the Golden Flashes over a BCS conference team in 1987 with a win over Kansas. The Pirates are sending 3 players to the Hawaii fall league. SS Angel Gonzalez and Outfielders Brad Corley and Jamie Romak will represent the Pirates on the islands. All 3 spent most of the season in Lynchburg. Last year some of the sports channels showed a HFB game of the week,so there is a help there from baseball withdrawal. Time is tight,so I will write more Suns stuff over the next few days. I am hoping to get the Ohio State football preview up before tomorrow's game vs Youngstown State. Pirates smashed and the Suns destroyed. The Pirates winning streak ran into the buzzsaw that was Aaron Harang and could only scrape together two hits on their way to an 8-0 loss to the Reds. Jason Bay and Matt Kata's singles were the only Bucco hits in a game that showcased Harang's bid for Cy Young consideration. Not much to say other than maybe tomorrow when the series concludes. Meanwhile in the Hub City-the Hagerstown Suns were pounded about as badly as a team could be in a 14-1 loss to the Delmarva Shorebirds. The visitors hammered the Suns for 16 hits and scored runs in every inning but the eighth stanza. Again not much one can say. The Suns attendance during this homestand has been anemic at best,but should be picking up for the last 3 home games of the season. Thursday being Thirsty Thursday should bring the drunken crowd out,Friday is fireworks which should be a decent crowd and Saturday will not be too bad since it is the last game of the year. Will Smith and his gang have had a tough road to travel in the final week of the season. You have a last place team, the Suns are playing the two teams that they play the most throughout the year,kids are back in school and the weekday games have had no giveaways. The Suns management only has control of 1 of those things. Other than attempting some more free gimmicks to help the turnout on these late season games,there is not much that he can do. The readers here know my opinions on how things are done by the Suns,but you just cannot blame them too much for this one. I am looking forward to Fan Appreciation Day on Saturday though. Hopefully,there will be some lessons learned from last year's FAD failures and the Suns can end the season strongly. Forgot to mention that pitcher Pat Bresnehan was promoted from Lynchburg t o Altoona. This time last year,Bresnehan was at Williamsport so his rise through the system has been the fastest of any of the Pirate 2006 draft picks. Here is a funny note from our friends over at the Crawdads blog that reports that Captain Dave was in Hickory taking a look at the Northern Division leading Crawdads and got smacked in the face by a single serving of Hamburger Helper!!! Speaking of the Helper,a belated note from the trip. 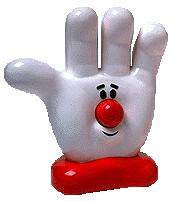 Every ballpark that we visited (and I mean EVERY) had a huge sponsorship logo on their wall from Hamburger Helper. Is this a southern thing or maybe the parent General Mills is a southern company? If anyone has any answers,let me know for full credit here! The Big Ten network goes on the air tomorrow,anyone besides the most devout Big Ten fan even mildly excited? A hilarious parody of Dragnet on Keith Olbermann's Countdown last night poking fun at the Senator Larry Craig fiasco. Not much to get really from Delmarva, just a few players,but most notably a few Billy Rowell's that I was unable to get the first time Rowell came through town. Erik Arnesen had an excellent 5 and two thirds inning stint and despite poor defensive play from the Suns,was able to get a no decision in the Suns 6-5 victory. The book on Erik was 5 and two thirds innings,2 runs,neither earned,striking out 3 and walking none. My only beef on the evening was with Suns skipper Tommy Herr on why Erik was removed. With the first two batters retired,an error by 1st baseman Robby Jacobsen caused a runner to reach and Herr was immediately out to remove Arnesen from the game and call for Coby Mavroulis. I am not sure if Herr wanted to have the lefty Mavroulis to face the next batter-left handed hitting Brandon Tripp or that Erik had reached his pitch count. Either way,considering the low A level,I would have handled it this way- Go out and talk to Arnesen and tell him the following. Tripp is the last batter that you are facing. Get the out-inning over,if Tripp gets on,then there are two on and the reliever is on his way in. Sometimes teams just get a bit too caught up in pitch counts etc and don't allow pitchers to progress in getting out of tough situations. After all,isn't that part of development? Anyway,Mavroulis was able to get out of the inning without allowing a score and giving Arnesen the no decision. Erik pitched as well as I have seen him this season and seems to be coming into his own as the season ends. This effort would be a good one to end the season with,but I am not sure if he will have another outing this year or not. He could pitch the season ender in Lakewood Monday,but it is possible that tonight was his finale'. The game was fun for the roughly 400 people there. Delmarva scored three runs in the ninth to take a 5-4 lead,but a Francisco Plascencia double with two out in the bottom of the stanza scored both the winning and tying runs for Hagerstown. Plascencia has been the Suns best hitter in the month of August and has played well defensively as well. Meanwhile the drive to save the Captain continued as the Pirates swept the Cincinnati Reds in a doubleheader. 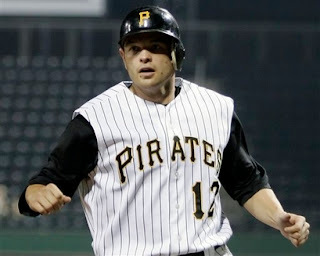 Freddy Sanchez was the one man show in Game 1 as he knocked in 5 of th e 6 Pirate runs with 4 coming on a Grand Slam Homer (11). Jason Bay's solo homer (20) scored the other Pittsburgh run. Tom Gorzelanny pitched 6 unspectacular innings,but picked up the win to improve to 13-7. Sometimes things do even out,as one remembers some of those great outings that did not result in wins for Gorzelanny earlier in the year when the offense was inept. Matt Capps fired a scoreless 9th for his 14th save of the year. Meanwhile in the nightcap,the Bucs used 7 strong innings from Paul Maholm and scored single runs in the 7th and 8th to squeeze by the Reds 3-2. Jose Castillo's 5th inning single scored 1 run and singles by Matt Kata and Adam LaRoche in the late innings gave the Buccos the sweep. B.P. Chacon got the last out of the top of the 8th to earn the victory and move to 5-4,while Matt Capps again threw a scoreless ninth to get his 2nd save of the evening and 15th of the year. The teams battle again tomorrow at 7:05. 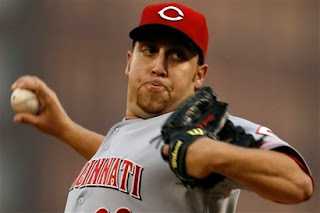 Cincinnati:Aaron Harang (13-3) at Pittsburgh: Ian Snell (8-10) 7:05. Enjoyed watching tonight's game with reader Bill Cover. Bill is a great guy and always a good time talking the game with him. Battlin Bob will be at tonight's game vs the Shorebirds..
Battlin Bob's favorite Bucco minor leaguer , Outfielder Brad Corley was promoted from High A Lynchburg to AA Altoona today and made his debut with the Curve going 1 for 4. This is usual procedure for the Pirates late in the season,as shown by the promoting last week of Andrew McCutchen and Neil Walker. My biggest problem with Corley as a prospect is his lack of plate patience. That is the type of flaw that the more skilled hurlers will attempt to take advantage of as he moves up the ladder. In any event,here is rooting for Brad,as he is always engaging as we have noted in the past. In better late than never news,here is an amusing story (to me at least). Last week,as Ryan and I watched the Giants-Cubs game,Ryan remarked on the lack of hitting ability of Matt Cain. Cain then proceeded In THAT AT BAT to drive a pitch over the fence,causing me to laugh hysterically and Ryan to kick himself ! I know a lot of Big Ten fans are furious at the new Big Ten network or cable providers etc,but here is a good word for them. The network has 4 games this week at 12:00,which I figured for sure would mean that being in Maryland meant no Ohio State and stuck with Penn State this weekend. But Direct TV is showing all 4 games by putting them on unused channels. Kudos to whoever made this call!!!! Ohio State announced Todd Boeckman as the starting QB for the opener Saturday vs Youngstown State. Boeckman beat out Junior Rob Schoenhoft and Freshmen Antonio Henson and Joe Bauserman. Yes,Pirate fans,the same Joe Bauserman that pitched for the Hickory Crawdads last season. Schoenhoft will also see action on Saturday,but the player I am looking forward to eventually seeing is Henson. He is said to be quite an exciting player. Joe played for Hickory in 2006 and appeared here in Hagerstown during a 4 game Crawdad sweep of the Suns. This was the series that Battlin Bob and I infuriated the Suns fans by bringing small hand brooms and waving them around while hollering "Sweep" late in the last night. In any event,we were exchanging high fives with Crawdad pitchers Dustin Craig and Blair Johnson and talking with others throughout the series,but Bauserman sat far away from the other players,didn't talk at all and basically looked like one unhappy guy for 4 days. The only time I saw any life from him at all was when fellow Buckeye fan Mike Oravec spoke to Joe about OSU. Suddenly his eyes lit up and he looked like a kid at the proverbial candy store. Bust from the past haunts Pirates. Ty Wigginton's 8th inning homer completed a Houston comeback as the homestanding Astros avoided a sweep with a 5-4 win. The Pirates had built a 4-1 lead,paced by a two run single by Adam LaRoche and a solo homer by Freddy Sanchez (10),but the Astros chipped away at the lead before finally grabbing the lead for good on Wigginton's shot off B.P.Chacon. B.P. picked up the loss in falling to 4-4. Dont you just hate when guys that were god awful as Pirates then move on and become serviceable players elsewhere? Wigginton was awful in Steeltown,but has become a decent player in first Tampa and now Houston. The Pirates return home tomorrow for a doubleheader against the Reds. Here is hoping we skip Matt Belisle,who is a BP pitcher against everyone else,but is Juan Marichal vs Pittsburgh. After the game,the Astros fired Manager (and Pittsburgh favorite) Phil Garner,along with GM Tim Pupura. I would not have fired Garner so quickly,but I can certainly see the firing of Purpura after some of his moves over the last year. That is a big difference between a team that wants to win and one that has to win. Purpura sets things back over a 18 month period and he is gone,before he can make the situation worse with other bad moves. While in Pittsburgh,Dave Littlefield is allowed to screw up for 6 years,before it is even begun to be considered to remove him. As a result,it could take years to clean up his disaster. MacFarland pitched at Hickory this year and didn't post spectacular numbers there after an intriguing start last year at Williamsport. never mind. I forgot that the Captain is the Pirates GM not the Giants GM. It is a long shot on MacFarland ever being a Giant,but these are the times that you take chances on hitting the home run if you really like a players upside potential. In a note skipped yesterday,the Bucs brought up Romulo Sanchez from AA Altoona to replace Gas Can Torres,who was placed on the DL. The Pirates have always been quietly high on Sanchez and believe it or not despite him always seeming to be on teams that I get to see,I have never seen him pitch. The Daniel Moskos watch continues as 1 day after being "removed from game action",he returned last night in the State College game vs Williamsport. The Pirates supposedly were embarrassed by the slow start by Moskos and concocted this "flaw" to take away attention from themselves. However it backfired,as rumors quickly spread that Moskos was injured and brought even more heat about the selection,so they had to get him back in the saddle to cool those rumors down. But his performance sure did not quiet the critics as he allowed 2 runs in an inning and a third,although he did strike out 3 batters as we grasp for a silver lining. Was not much that I had for the visiting Lakewood Blue Claws,since a mailing snafu cost me their team set. The always great Adrian Cardenas signed a couple of his team USA cards and Scott Mitchinson signed his 06 Lakewood card. Mitchinson is attempting a comeback after an arm injury last year. Hard to believe that this time next week besides a visit to State College,the signing season is over. The 2007 Arizona Fall League rosters are out. If you are a collector that does the through the mail collecting,you might want to try the Arizona and Hawaii fall leagues,Ryan and I did quite well last year through those leagues. The link to the rosters are here. 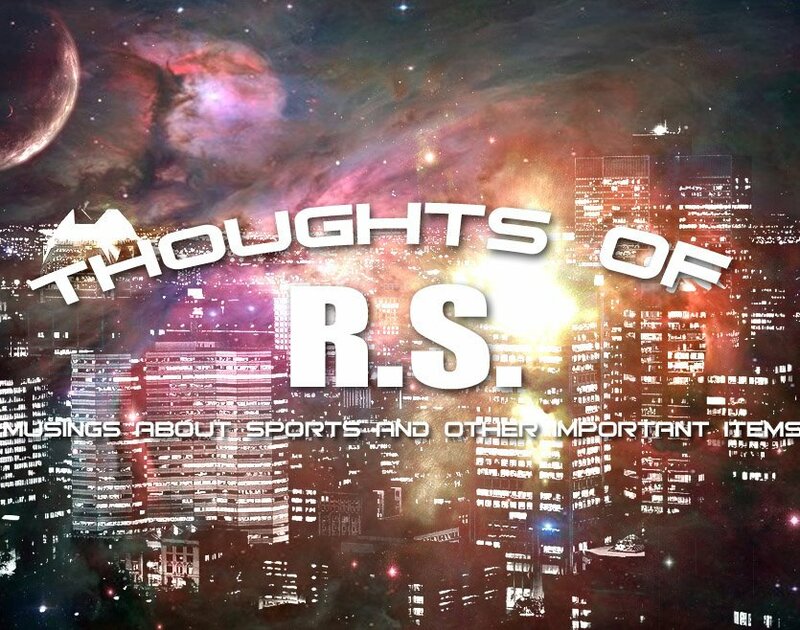 Finally,a big hello to my friends over at the Northern Ohio Sports Forum that might be visiting us for the first time. The NOSF is filled with passionate Ohio sports fans and I am often found there during this time of year. The Pirates have won their last four games since we last wrote winning two each vs the Rockies and Astros. They conclude today vs the Astros in Houston. An internet rumor stated that Daniel Moskos was going to undergo Tommy John surgery and miss the 2008 season. However,the Pirates announced the Moskos has no health issues,but has been removed from live action to "Correct a mechanical flaw". No word on removing Dave Littlefield from action to "Correct a mechanical flaw" in his head. More on Moskos-Moskos was recently removed from a State College game without recording an out. Moskos has a 5.68 ERA in his five games in State College and the controversy continues over his selection. So,Moskos was picked because the Pirates thought he was near ready for the bigs and would accelerate through the system,but yet cannot get anyone out in Short-Season play? 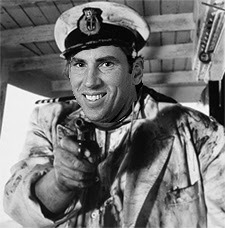 Final word on Moskos-IF this turns out to be a health issue,the furor over this pick will intensify and could be the final straw in sending the Captain packing off to sea. And take this apparently bargain basement medical staff with you!!! Speaking of that terrific medical staff,check this read on Lynchburg pitcher Clayton Hamilton. Hamilton was told for a year that he had an oblique strain when actually he had a broken rib and pitched with it all season! Seems to me,if Hamilton's career sputters out,he has quite a lawsuit possibility going vs the Pirates and their medical staff. Nice article sent to us by Battlin Bob on the aftermath of Baseball in Montreal after the Expos moved to Washington. Another Expo related article on how the Vermont Lake Monsters (formerly Expos) have a special Expo day every year. The Vermont team is the closest team in affiliated baseball to the city of Montreal and is the step below the Hagerstown Suns in the Nationals system. And speaking of the Suns-Nice work with two good late season promotions with Nationals t-shirt day and mini-bat day. 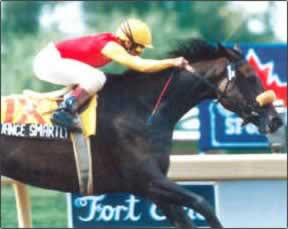 Canadian filly champion Dance Smartly died at 19. She was the first Canadian based and bred horse to win a Breeders Cup race with her Distaff win in 1991. The Hamilton Tiger-cats looked pathetic in a 27-9 loss in Montreal. 3 Nick Setta field goals were all that the Tabbies could muster on the board in a lifeless effort. The Cats fall to 1-7 in the season and play Toronto at home on Labor D ay Monday in a traditional CFL battle. Romeo Crennel says Brady Quinn will not be the opening day starter for Cleveland,despite the rookies solid pre-season performance. Smart move,there is plenty of time for Quinn to see game action later in the year. For those of you waiting for Browns,Seahawks and Ohio State previews,I am just waiting until baseball season wraps up for the pro previews and the Ohio State one should be a day or two before the opener. And in High School action-the Ashland Arrows won their opener over the Willard Flashes in Willard 35-21. Score was a bit deceiving in its closeness,as the Arrows shot out to a 28-0 lead. The Arrows should get a tougher battle in their next two games. Their home opener is next week against the always tough Bellevue Redmen and the following week at the Shelby Whippets. Shelby is one of the Ohio towns damaged by the massive flooding and whether the game will be at Shelby or a neutral site is still to be determined. Guess that covers the notes,back to normal Pirate coverage tomorrow!! With apologies to the Olympics and Keith Olbermann,here are some grades of various things/events on the trip. Most of the time,these will be chosen from the 4 cities that we saw games in,if there is an exception it will be noted. Please keep in mind these are my personal opinions. We will catch up on news that I want to comment on my next post and then finally return to the regular format. Gold-Asheville: Winner in a runaway,surrounded by mountains and simply beautiful scenery. Silver-Lynchburg: Nice town that lost points by the "logo" and the non-stop Falwell. Bronze-Greensboro: Interesting small city scape. Gold-Bristol Motor Speedway-Even if not a NASCAR fan,a awesome structure from the outside. Silver-Valley Hills Mall-Hickory-A mall that hangs right up with bigger cities. Bronze-Dale Jarrett Museum-Not for its sake,but for the memories from Battlin Bob there! Honorable mention-The Crackhead couple-Johnson City TN-These losers made us wait 10 mins for a bleeping Sun Drop while they gave their current medication intake to the ticked off cashier. Bronze:Greensboro-Had all ingredients,but by the time it was all together,not as good as you thought it would be. Gold:Asheville;Renovations to the outside allows it to hold on. Bronze:Lynchburg:Plain outside and dull concourse causes it to fall back. Gold:Hickory-wins going away,I could have spent twice the cash that I did. Silver:Lynchburg-needs more clothing selection,but gains points for having so many hats. Bronze:Greensboro-nips Asheville by having stuff available in several colors. Silver:Lynchburg-a bit overrated reputation,but still good. Bronze:Asheville-wins due to the ease of the visiting side. Gold:Calfee Field-Pulaski VA-Cannot deny the gold to anyplace that lets us goof around on a great field! Silver:Ernie Shore Field-Winston Salem NC-I loved this field,Wish I could give it to Hagerstown since the city is building a new park. Bronze:Howard Johnson Field-Johnson City TN-Close to the field,although the netting all the way around the spectators hurts a bit,the right field hill looks like a great touch. Gold:Matt Swanson-Lynchburg, Always talks to you like he knows and remembers you. Bronze: Ted E.Tourist-Asheville,not great,but better than the Crawdad. Gold:Bees at Hickory,Mike Crotta warned me about them and he was right,all over the place until the Sun went down. Silver:Parking at Asheville,not much of it and a long walk either up or down when you do find it. Bronze:Security at Greensboro,I am all for security,but seemed a bit excessive. Honorable Mention-Seating at Lynchburg- Seat sizes are pretty small. Thanks for reading,if I can think of anything else,I will add them and note new stuff in a later post!. Back to normal next time!! As we left Greensboro after 5 innings,we were on our way to Lynchburg for the final game of our trip. The road we were on was a straight shot there and on the way we stopped at Dan Daniel Field,home of the Appalachian Leagues Danville Braves. I may not have mentioned this earlier about the Appy League,but all the teams in the league are entirely owned by the Major League affiliates. So that explains,why the teams in the league do not share the colorful nicknames that other minor teams do and why they change names with the affiliates. The Appy League had two changes last year,the previously mentioned leaving of Pulaski and the Burlington (NC) Indians being sold to the Kansas City Royals and therefore becoming the Burlington Royals. I figured that was going to happen as soon as the parent Royals hired Dayton Moore as GM last year and for the same reason that I believe that Pulaski will return next year with the Washington Nationals. The people running teams that have an Atlanta Braves background tend to run things the way they were run in Peachtree Country and the Braves have always been a believer in player development and the Appy League. Upon arriving in Danville,the 1st thing that strikes you is this,the field is just part of a city/county park and is just another spoke of a recreation park wheel. One can see little league,soccer,etc fields all around as part of the same facility. Upon arrival,we saw some practice from the Braves,before wandering around. This field looks like a very nice high school field with some nice chair-ba cked seating and most of the stadium had a roof of some type. The lack of a roof and metal bleachers seems to be the top complaint of most that have ever attended a Potomac Nationals games in Woodbridge Va. I have never been to Pfitzner Stadium myself,but I hear this complaint often. But at Danville,someone thought of that and the stadium is a nicer place because of it. Danville looks like a nice,unspectacular field that looks like good autograph country,but worth the stop if you are in the area. After a quick team set buy of the 2006 and 2007 editions,we were off to Lynchburg. Dinner was at a Golden Corral in Lynchburg and most of the meal was dealt with an upset Battlin Bob. One can hardly walk a few steps without seeing something about Falwell or his university,but the most notable is the HUG E logo on the side of a mountain facing the city. I wish we had gotten a better picture of the logo but the clear cutting of nature to basically advertise a college infuriated Bob and he was noticeably bothered by this,as he was earlier in the trip with the Smoky Mountains being "top-cropped" for coal. We got there early and of course the Hillcats were the one team on the trip that opened the gates 60 mins before game time not 90 . Just our luck,but Ryan did beat Battlin Bob to a batting practice baseball laying in the grass. Lynchburg had been touted as an easy autograph place and I suppose it was easy,but not quite as good as advertised. If you get in the 1st row of reserved seats the players have to walk right by you,but similar to Hagerstown,the relief pitchers for the Hillcats do not have to walk right by you. So keep that in mind,if you need a Lynchburg bullpenner-be ready to shout for them! On this night,I did not need much of the home team,so we attempted to concentrate on the visiting Myrtle Beach Pelicans. The Pelicans had been a mixed bag at Frederick earlier in the season,so I was not sure what to expect. Sadly I got the worst,as most of the prospects on the team had either been moved from Myrtle due to the recent trade with the Rangers or in the case of Elvis Andrus actually traded to the Rangers. So,the 3 targeted players were the newest Pelican Chase Fontaine,Eric Campbell and Jordan Schafer. Fontaine was nice enough,signing 2 apiece for Ryan and I before warming up,but Campbell totally ignored our requests,despite his being on the Disabled List and having nothing else to do. Schafer walked out with Fontaine,yet ignored us even after Chase came over and signed. That was pretty much the highlight other than talking to a few Lynchburg players. Brad Corley was cool as always as was Matt Swanson. Matt always talks to us like he knows and remembers us,although his una ssuming nature makes me think that maybe he is just nice to everyone. Messers Campbell and Schafer could take a few lessons from the Hillcats. Lynchburg City Stadium and Calvin Falwell Field (yes,there is that name again) are the same place,just a way of honoring two things at one time. This is similar to basketball arenas having one name and the actual court itself honoring someone else. The field underwent a complete renovation a few years back and of all the fields that I have seen this is the field that Municipal Stadium could be if renovation money was made available. You are close to the field like Hagerstown,but (Try to not to faint) Municipal Stadium has an edge over Lynchburg. The seats in Hagerstown are far roomier,in fact I have never seen seats as small as at the home of the Hillcats. One other odd seating item-the behind the plate seats are backed seats,but every seat is a general admission seat there. If you buy the top seat at Lynchburg,you are behind the 1st or 3rd base line. Keep that in mind,if you like to be behind the plate..
After a 7-5 Hillcat win,in which we waited around to try again for Campbell and Schafer,we did get two consolation prizes. One was winning pitcher Luis Valdez signed his Hillcat card and the other follows. Some of the Hillcats were signing as the players moved to the clubhouse,we tried to get Campbell,but he ignored us again and waited on Schafer. Ryan and I were talking basically saying once Schafer was done,we could get moving and veteran journeyman Ron Davenport turned to us and said "you guys don't want Schafer's autograph anyway". Being accustomed to the interplay between players,I assumed the two were friends and one buddy was jabbing at another. Davenport then said "No,you really don't,Schafer is the biggest D***head in the league" and said it in a stone serious voice. Jordan was the last player from the dugout and I told Ron,"I guess we will see if we agree in a minute." Schafer then ignored all calls for him and never even looked at us despite being less than 10 feet away. I hollered,"hey,Ron,looks like you have a point-LOL". I really have to find some Ron Davenport cards now!!!! Anyway,a long car ride awaited,which included a wonderful 15 miles in an hour stretch due to roadwork on I-81. Lynchburg is a great park for being close to the action and the general admission seats are very good seats for the money. Plus of all the parks that I have been to this year,the Hillcats were the cheapest as far as their food and drinks go. The only thing that I wonder is this-after looking at both parks,one would think that Hickory's facility was the High A and Lynchburg was the Low A Pirate affiliate. I doubt that would be happening anytime soon,but one would think that facility-wise a Lynchburg promotion would be a lateral one at best. All and all,I would recommend Lynchburg for the game and for autographs,although it was a bit overrated for autographs in my opinion. Next time- some grades for ballparks on the trip,some comparisons with the Suns and maybe even a few comments(if I can get them) from Ryan and Battlin Bob on their thoughts. Before I start on Day 3, allow me to clean up one missing thing from Day 2 that I started to mention and one that I did not. The reason that I mentioned Wade Townsend would be heading back to the clubhouse quickly was because he was thrown from the premises for arguing the second pitch of the game. A Catfish hit a long ball to left that was called foul brought a argument from the Columbus dugout,most notably from Townsend. Townsend was kicked out of the game,not to be seen until the 4th inning,as Wade carried 3 of the largest sandwiches I have ever seen to the clubhouse where he remained. The other was Ryan's near punch-out with Conrad Crawdad. Ryan is not the most patient person in the world with mascots as it is,but after taking 3 "shots" to the head from Conrad he was near retaliation. However Conrad crawled away and all violence was avoided!. Conrad was all riled up as the woman sitting in front of us had a strong resemblance to Jenny McCarthy and the lady must have known it,as she did the whole McCarthy shtick from the laugh to the voice to similar face making etc. After 5 minutes of this over the top stuff,the guy in the suit likely was kinda hyped up. Upon a early rise for the drive to Greensboro,we left Hickory and since we were doing well on time,decided to look for the campus bookstore of Wake Forest university in Winston-Salem. All though my ACC allegiance has always been to Maryland,when Wake Forest hired the recently departed Skip Prosser to lead the basketball program,Wake immediately zoomed up my list and I wanted to see if I could pick up some Wake gear. We did have a strict time constraint to get to Greensboro though,so time was limited. After two unsuccessful times around the small,yet beautiful campus,we asked a maintenance worker on directions to Ernie Shore Field. Ernie Shore is the home of the Carolina Leagues Winston-Salem Warthogs and thought it would be an easy picture stop. It not only was not hard to find,it is next door to Wake Forest's Groves Stadium home to the Football Deacons. So we were able to get some pictures of the renovations that Wake is doing to Groves Stadium as well. To get to the Stadium from WFU,you need to turn left on Tim Duncan drive,which I was sure to get Ryan to take a pic of the street sign. The Employees there ranked right up there with the most friendly that we got to meet and when two of the field staff said that Ernie Shore "was a dump",the 3 of us were in a race to spit out "This is a dump?You have never been to Hagerstown"!! I think Battlin Bob won that race,too bad we didnt have Jim Cornette with us f or that! After some more talk and a stop at the team shop for a team set that we will hopefully get signed when the Warthogs visit Frederick on Labor Day weekend,we were on our way. I thought Ernie Shore Field was kinda charming and it will be a 2008 stop,as Winston-Salem is building a downtown stadium for the Warthogs that opens in 2009. Wake Forest is buying the field for one dollar from the city. Bargain buy for the Deacs! Getting from Winston-Salem to Greensboro was quite easy,but upon paying 5 dollar s to park,the Hoppers didn't get off to a good start with me. I am sure we could have found a cheaper lot,but this one was right across the street from First Horizon Park,where we were rewarded with a 30 min wait to buy tickets even though their sign suggested the ticket office should have been open from the time we arrived. I had been tipped off by fans that had been to FHP before about the security there and that they were vigilant to say the least. They checked my briefcase on the way,which is never a problem and we were off to try to get as many Rome Braves as possible. The home Grasshoppers were leaving to come to Hagerstown after the game,so we decided to ignore them altogether and work on them in Hagerstown. Both teams come down a tunnel and enter the field that you have little access to. You are to the side and up from the players,so this is a tough place for sure. With Rome having no numbers on the front of their jerseys,the players were hard to identify,but Battlin Bob stood over the tunnel entrance and flashed the numbers down. This was helpful and effective as much as it could be. All and all,we got a few,but not as many as we would have liked,but we were warned about Greensboro before we tried. Honestly,this would not have been a stop if it was not an afternoon game on our getaway day,so whatever we got was a bonus. The park itself is gorgeous and terrific to watch,the problem on this day was the heat and with very little to protect you from the Sun,we threw in the towel quickly and decided to stop in Danville Virginia for a shot at Dan Daniel Field and the Appy Leagues Danville Braves. The map showed that Danville was right on the way between Greensboro and Lynchburg. A look at Miss Babe Ruth,a Lab puppy that is the bat dog at certain points of the game in action was pretty neat. A cute dog and well trained too,although Battlin Bob said she took a leak on the field in pre-game. I missed that one,but I will take his word for it. Wow,Hagerstown should try the dog gimmick out. Miss Babe Ruth wears a green vest with a local sponsor and the sponsor pays 20 grand a year to be on the vest! Plus the sponsor on her dog house pays another 30,000 for that! Add in her merchandise sales and this is a big money maker for the team. So,here is an easy one to our Suns employee readers,try this instead of Plunger night! But the promised security staff had one more gasp. As Ryan went into the team store for a Hoppers shirt, I got my keys out as Battlin Bob and I stood by the exit waiting for Ryan,so we could go. The Guard,hollered "hey You" twice and then a 3rd time,Finally I asked "me?". Yeah,me....the guard had seen a Swiss army kit on my key ring and asked if it was a knife. Well,yeah I guess in the same way that it is also a can opener and toothpick. He asked about taking it,I refused by saying "My son is in the team shop,when he comes out we are leaving,I will stand here,so there is no trouble". He agreed and said "next time don't bring it". In closing ,Greensboro is a more urban setting than any of the places that we visited and the stadium is dazzling,but take our advice-go to a night game if you can! The autograph side is underwhelming,keep that in mind if you are a collector. So,I would put Greensboro in the same section as Altoona-Great park to watch a game,not very good for autographs. After a lousy nights sleep at the poor accommodations at Days Inn,we awoke for the approximately 1 hour drive to Hickory. First,let me say this,I usually do not mind Days Inn,but this one was awful. A hole behind the door,the faux' stucco on the ceiling falling down in the shower and the smell of the lovely scent mix of Rain and Cat Urine that was then closed up for a week were some of the highlights of this stay. If anyone ever decides to go to Asheville,Avoid the Days Inn by the airport. While on the road thus far,all of us agreed that KFC was a good idea,if they had a buffet. The 2 KFC stores in Hagerstown do not have a buffet,so as a result I rarely go there. I love KFC,but with the cost of the chicken pieces that I like,it really is not cost effective to eat there often. We found one with a buffet and ate there. The food was quite good,but within a few hours all 3 of us were not feeling well. None of us would eat all that much for the remainder of the trip. I don't think it was the food as much as the relentlessly hot weather,as both Hickory and Greensboro set heat records on the days we were there and I think Asheville came very close. We were able to spend the day shopping and traveling around Hickory in our only non-baseball or traveling part of the trip. Hickory was a larger city than I expected-the 2000 census had Hickory at 37,222 and had a terrific 2 story mall as a shopping centerpiece. Bob wanted to see the Dale Jarrett museum (Jarrett is a Hickory native) and on our way there,we stopped and looked at the Hickory Motor Speedway. The employee there graciously allowed us to walk around and do whatever we wished other than walk on the track. That would have been the last thing that I wanted to do,when one considers that the temperature was over 100 degrees and the Sun was beating down on a asphalt track! Think I would have passed on that one,even if allowed! HMS is only .360 of a mile around and has the type of short track racing that as a casual at best NASCAR fan,I always liked to watch. In fact HMS hosted a Busch series race every year until 1998. For you non-NASCAR fans,the Busch series is the NASCAR equivalent to Triple A baseball. We then went to the Jarrett museum,which actually is in a area roughly the size of a car showroom. My father likely would have quite enjoyed himself here,as Jarrett is his favorite driver in NASCAR. Hilarity ensued as Battlin Bob entered an actual Jarrett race car to "driv e" in a video game. Watching Bob getting in and out of the car along with his choice words during the race were priceless as always! The stadium is located near the Hickory airport and tucked towards the back of what I would call a industrial park. L.P Frans was the fellow who donated the most money to help build the stadium and he was the local Coke bottler/distributor. Ironic that over the outfield fence is the local Pepsi distributor,I am sure L.P or his successors were thrilled with that! Entering the field we saw the oddest ant that I ever saw in this large ants full red body with a black back tip. Neat looking for sure,but I sure was not going to touch it! After a stop at the gift shop to grab Crawdad stuff,mainly team sets for Ryan and I,a shirt for Battlin Bob,a hat for yours truly and shirts for Cherie and Rachel,we were off to hit the signature trail and allow me to tell you this-despite the results of this night,Hickory is a permanent stop for future trips. Besides being a Pirate affiliate,the access for signatures is tremendous and deserves to be a stop on its own merits. The clubhouse are down the left field line and then there is a short stone path from the clubhouse to the field that the players walk down,the grounds crew drives the mowers etc. Now at every other field that I have ever been to this area is closed,but not at Hickory. Fans are allowed to be in the actual area and get autographs etc. Great access and kudos to the Crawdad management for allowing this type of access,it has to be nothing but helpful to them as far as fan response goes. The visiting Columbus Catfish were kinda tough,Nevin Ashley was signing 1 card per person,Jeremy Hellickson was signing 3,Desmond Jennings was a good signer and former Rice star Wade Townsend signed 2 for me,before he ran to the field. Ironically Townsend would be back soon enough. The Crawdads were signing and the access was there,but the error belonged to the author. Readers from way back in the beginning will remember my 4 games in the stands here talking with the Hickory pitchers in freezing temperatures in the season bow in Hagerstown. The first Hickory player out of the clubhouse was starting pitcher Bradley Clapp. We waited for Brad to sign,I was 4th in line and as he signed for others,I waited. He took my cards and signed and as he handed mine back,he looked at me with a look of recollection. I said "you remember me"?.Clapp replied sure "the snow games!". I talked to Brad for roughly 5 minutes before he had to start warming up and this became the trend. I would spent time catching up with 4 of the "Hickory 5" and as a result,not getting a damn thing done. Thanks to Ryan and Battlin Bob for carrying me this night-without them,I would have gotten next to nothing. Anyway,next was Eric Krebs.Krebs was a starter earlier in the season,but an injury cost him some time and now is in the bullpen. Eric is not in the Hickory team set,so most did not ask him for anything as he walked along unobstructed,but he glanced over and saw me,ran over with a handshake and talked about the season and the changes involved in moving to the pen. Jared Hughes,he hollered out "hey,Shawn" and offered his hand. Hughes has the hardest handshake that I have ever received,Guess that comes with the territory when you are 6'7! After a few minutes with Jared ( I would talk some with him after the game),Mike Crotta came out in street clothes to chart the game. Crotta too stopped,talked and was agreeable to me asking a few questions during the game. By this time the game was beginning and I had contributed little to the cards tonight. So,to the people that I was supposed to help with Columbus and Hickory-My fault. The other failures were a different story,but I will take the heat for this night. I am not going to get into the game much.Columbus took the win 11-5 in a slowly played and uninspired game,which I can understand considering the conditions. Both Asheville and Hickory have pitch speed clocks on their outfield wall,but neither seemed to be especially accurate. I asked Mike Crotta about this and he said that every team that does this in the SAL usually clocks slower than the actual speed except for Asheville. The gun at McCormick Field registers FASTER than actually thrown. I chuckled when Mike told me this as I knew when I saw a Tourist throw a "95 MPH" Curveball that this was the case! I also asked Mike about his remembrances of the Hagerstown series and he quickly responded "the snow! I am from Florida,I'm not used to that stuff!". He also added that he still has his photos from the snow on his cell phone. I asked if Hagerstown had the worst facilities in the league and he replied that Hagerstown and Savannah were neck and neck,giving Hagerstown the edge with the field,while Savannah had the better clubhouse facilities. I also asked what the difference was between the last place Crawdads of the first half and the division leaders of the second half considering that personnel wise there was not a huge difference. Mike thought that it was more of the team beginning to jell a bit and the starting pitching improving greatly in the second half. I also asked about his 1 start for the Altoona Curve earlier this season and he talked about how great Blair County Ballpark was and how he looked forward to pitching there down the road. This was such a wild one that it will be a post all by itself on a slow day coming up soon! My regret is that Ryan and the Battler were not there to see this,they had already moved to the dirt path to get a player or two that they had missed. While I was in the stands,Ryan had won a jar of Duke's Mayonnaise. Every inning,there was a trivia question and the winner got a jar of Duke's. Battlin Bob had been on fire all night on these,but was either unable to get to fan services or was too late. Apparently this time,they were there in time. Bob answered incorrectly,Ryan followed up with the right answer and that led to light-hearted grumbling and Mayonnaise talk for the rest of the trip~! Upon meeting up with them and talking to Jared Hughes some more,we trudged back to the Days Inn in Conover NC,where we were thrilled to find a much nicer room than the one in Asheville and due to the kindness of the fellow behind the desk,were allowed to take a swim during the off hours. Now,this Days Inn-I recommend highly! In closing-Hickory is a solid place to watch a game,I would say upper to middle of the pack,but for the autograph collectors out there-I give Hickory about the highest marks that I can give. Driving from Johnson City to Asheville was beautiful scenery-wise, but we also stopped by the most well-run, clean and nice-looking as far as its architectural design,rest-stop that I have ever seen. I could have lived in this place and the staff was friendly and helpful as well. My only question is this -the pocket schedule of choice there was the Greensboro Grasshoppers, not the nearby Asheville Tourists or the Hickory Crawdads, who are closer to this stop than Greensboro. Kinda odd. Finally pulling into McCormick Field, two things stand out. One-the park is built into a mountainside. You need to park at the top of the "hill and walk down and around to reach McCormick Field. Not the best place that I have ever seen to place your vehicle at for sure. The Tourists (as did the Crawdads and Grasshoppers) open their gates 90 minutes before game time, unlike the local Suns and Keys which both open 60 mins before game time. This could be helpful for autographs and I certainly would not argue with either of the local teams making a similar change. However, Asheville was doomed to be a disappointment on the autograph front. The visiting Lake County Captains enter the field from a clubhouse down the left field line and the access to them was very easy. Only one problem, I only needed 3 Captains as they had been pretty much finished in their Hagerstown visits. 1st round pick Beau Mills signed a "top prospect" card, which basically looks like a 1959 Topps card without a picture, while newly recalled outfielder Lucas Montero signed his Lake County card and the newest Captain Ryan Morris signed his Bowman card. Meanwhile, Ryan and Battlin Bob were struggling on the Asheville side. Renovations to McCormick Field gave the Tourists a tunnel to their clubhouse from their dugout and that always means limited access and chances for signatures. A poor day getting Tourists, although both of the players in the SAL prospect set-Hector Gomez and Daniel Mayora were gotten mainly because of someone else. A lady asked a player to bring the "Dominican players" over to sign her ball, both players trotted over for that and we were able to get them as a result. The Rockies top pick pitcher Casey Weathers signed for us, as the nights saving grace. s eeing his USA baseball teammate Ross Detwiler earlier in the week. Outside of that, a disappointing autograph night. The game was not a lot more exciting. The Captains pummelled the Tourists and gave an unusual scoreboard early on. I asked Ryan to grab a quick pic of the scoreboard. Lake County's emergency starter Kyle Collina(replacing the promoted Josh Tomlin) threw 4 perfect innings in retiring every batter he faced. The neatest thing about the field is the HUGE right field wall that is made of the type of metal that you would use on a roof. Ingles, which is a local grocery store, sponsors the wall and its log o is all over it. The concourse has another nice feature, they have painted this mountain and set up a map of the SAL and has different teams painted on it. Nice touch and a lot of work. In closing, McCormick Field was a nice field, once you got into the door and easy to get the visitors for autographs. But if you are looking to get the Tourists,I would recommend either taking 2 days or targeting a handful of players that you want the most. After a long day, we drove back to our hotel at the Asheville airport, where the wors t Days Inn known to man awaited us. A quick stop at Sonic Drive-in and off to sleep before the trip to Hickory. A quick note of the passing of my aunt Mildred Easterday at the age 83. "Aunt Wood" was one of the best people that I knew. Her late husband "Uncle Robert" married Cherie and I 20 years ago (no pics available-LOL) and I always took pride in being the last family member to have that honor. She was always terrific to me and lived a long and wonderful life and she will be dearly missed. Pirates fall in 10,Pirates and Suns rained out.